All-inclusive luxuries of the World’s Most Awarded Luxury Cruise Line™ and a world of savings valued up to $2,000 per suite can be yours when you book by April 30, 2019. An extraordinary collection of remarkable travel experiences caters to an adventurous spirit with immersive, 6- to 22-day voyages to the farthest reaches of the globe. Join Crystal Cruises in 2019 on itineraries from Cartagena to Cabo; Valencia to Vancouver; Alaska’s Last Frontier to the underwater wonderland of the Great Barrier Reef. Regardless of which destination piques your wanderlust, you’ll enjoy renowned cuisine, enriching activities on board and on shore, and the superior standard of service for which Crystal is renowned. 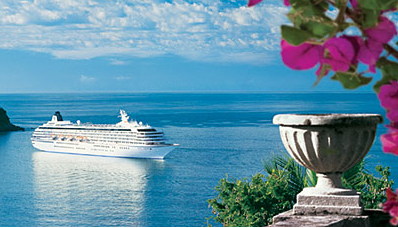 Beyond Crystal's renowned hospitality, it is the ships themselves that uniquely define the Crystal Experience. Welcoming far fewer guests than ships of similar size, each hosts a variety of stunning public spaces from grand to intimate, and dedicated venues for fitness, enrichment, gaming and more. With active adventure and scholarly insight, more than 2,000 Crystal Adventures allow you to customize your time ashore to personal interests, from bucket-list thrills to complimentary voluntourism excursions. ​An unmatched roster of inclusive amenities and services ensures your every want has already been considered, from fine wines, champagne and premium spirits to pre-paid gratuities, unlimited Wi-Fi and 24-hour room service.